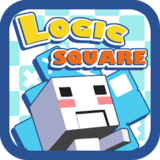 Logic Square - Picross – Games for Android 2018 – Free download. 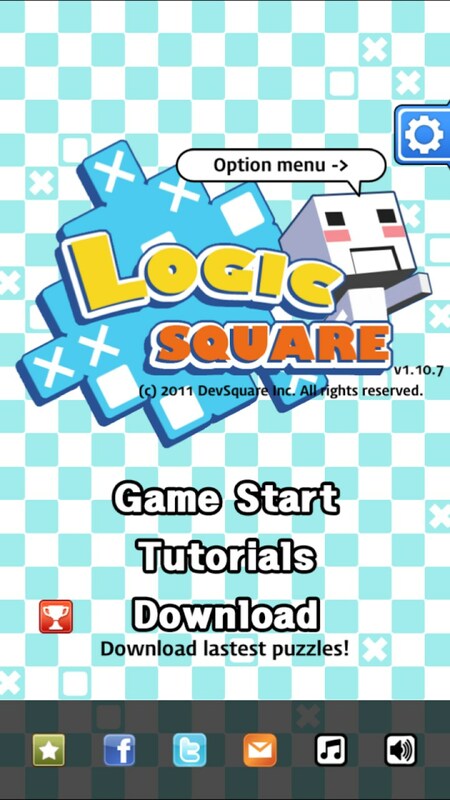 Logic Square - Picross – Great puzzle game to get you thinking. 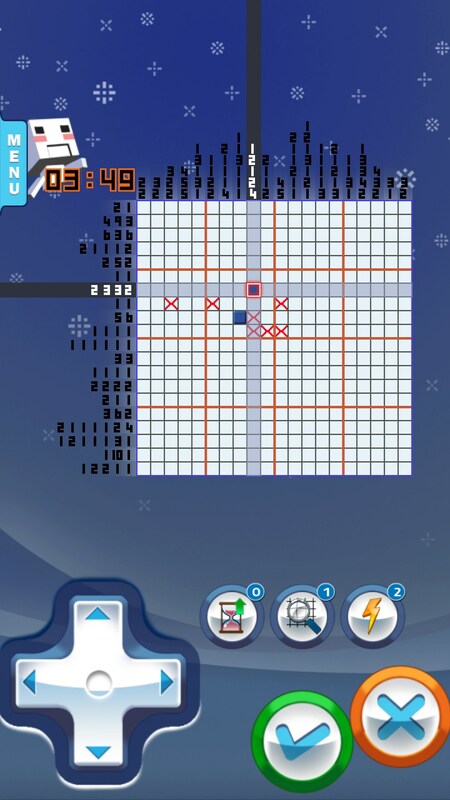 Whilst Logic Square - Picross for Android has clearly taken inspiration from Minesweeper, the game itself is really quite a different experience. 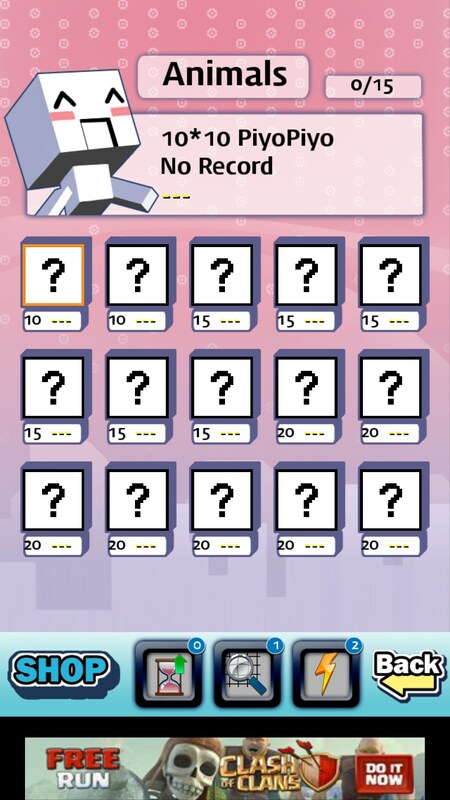 Players must use the numbers provided to them to calculate where blocks will be, and with this knowledge they can create different pictures on a board. 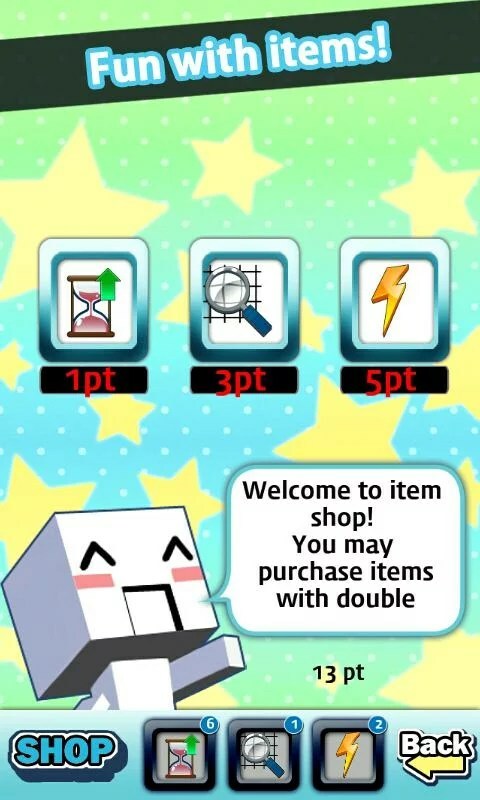 The first thing you'll notice about this game is the abundance of levels to play through. In fact, there are so many different levels that it's all a bit confusing for new players. 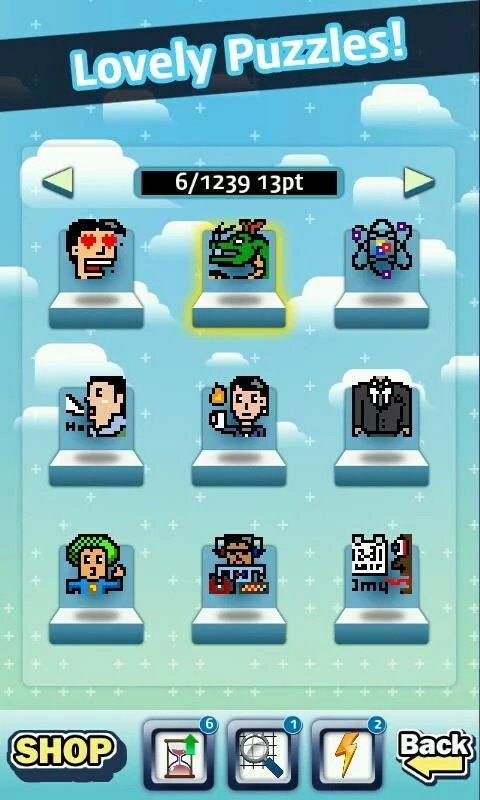 You will be thrown straight into the game, and there will be a main menu screen with a variety of buttons with different labels attached. 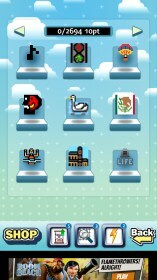 Each of these labels actually opens up a whole page of unique levels themed under that label. 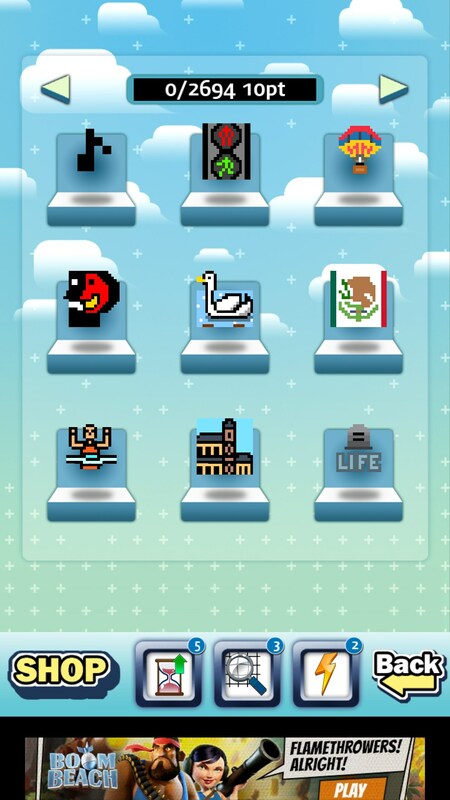 For example, the music note label features levels with music notes in, whilst the animal label features levels with different animal pictures in. 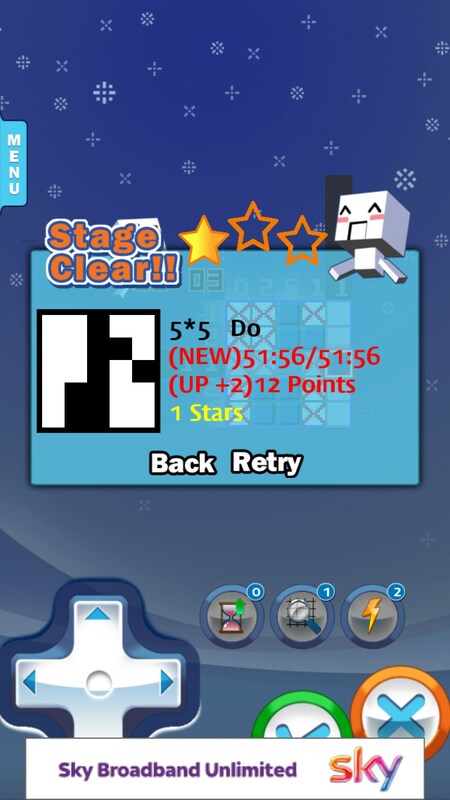 When you start your very first level you may still be a little confused, especially if you didn't watch the beginning tutorials. Fortunately, it is quite straight forward once you understand how the system works. There are numbers above and beside each column and row, and these numbers signify the amount of safe blocks on the corresponding lane. You must figure out where these blocks are, mark them and then turn the block to find out whether you were correct or whether there is a trap underneath. 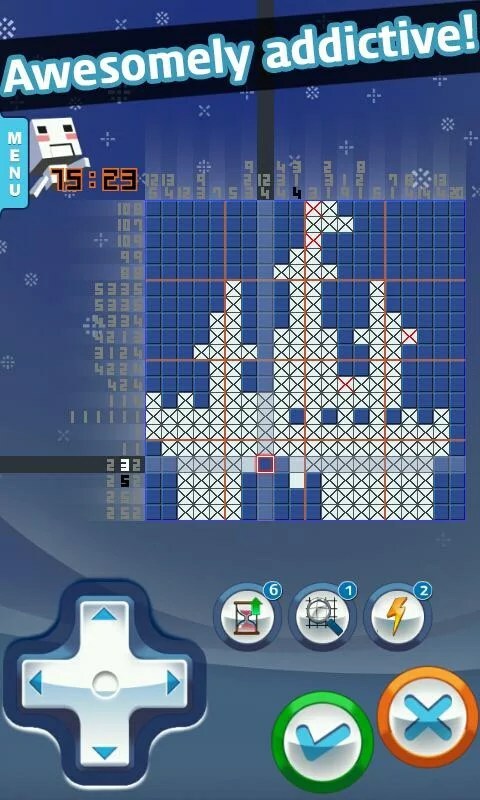 Some levels feature smaller grids and these are a lot easier to play on, whilst others are incredibly hard and feature gigantic grids. Playing the small levels is quite easy, but there are many other levels that take a lot of patience and forward thinking to complete. 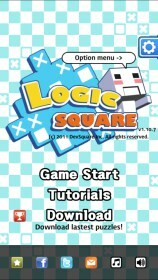 Logic Square - Picross is free, but there are a ridiculous amount of adverts to deal with unfortunately. There is also no way to get rid of the ads, and that's literally my only complaint with the game.